TGIF, Lacquerbeanz! It's been a loooong week, and what better way to bring it to a close than by showing you four gorgeous polishes from Glitter Bunny Polish? Let's jump right in! First up from this collection is Don't Be Such a Guppy, which is an absolutely beautiful glitter topper loaded with all different shapes of teal glitter in a clear base. Swatches show 1 coat over Julep Char with Orly Halo on the accent finger, topped off with G&G HK Girl topcoat. I am so upset I only have one photo of this polish... I have NO idea where all the other ones went! =( But look at this amaaaazingness! No problems with application for this one. Next up from this collection is It's A...Dinglehopper! 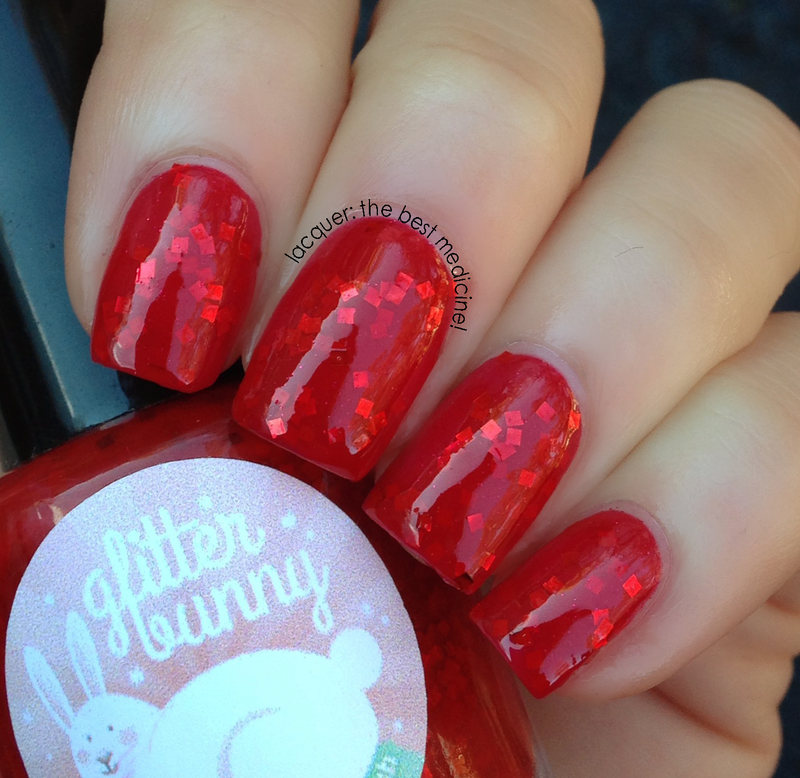 This polish is an absolutely stunning blood-red jelly with a mixture of tiny red glitters and larger red square glitters. 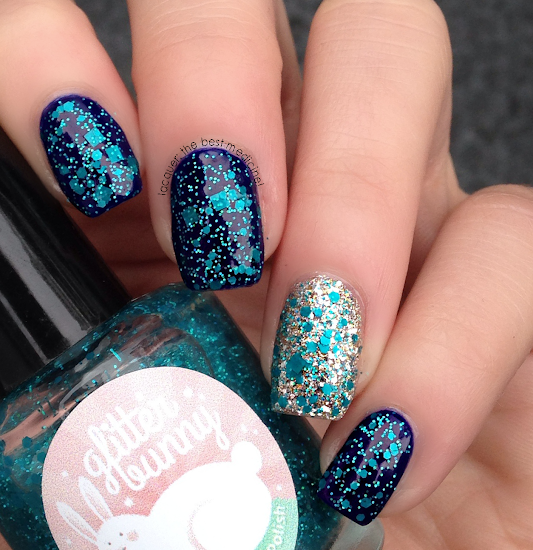 I love me so square glitters! Swatches show two coats with G&G HK Girl topcoat. Application for this one was great... it was smooth even before I applied topcoat. I was definitely impressed with this one. The third and final polish from this collection is Part Of That World, a deep blue, heavily pigmented jelly base with little blue glitters and larger purple square glitters. Application for this one was the same as It's A...Dinglehopper!. It was terriffic! Swatches show two coats with G&G HK Girl topcoat. 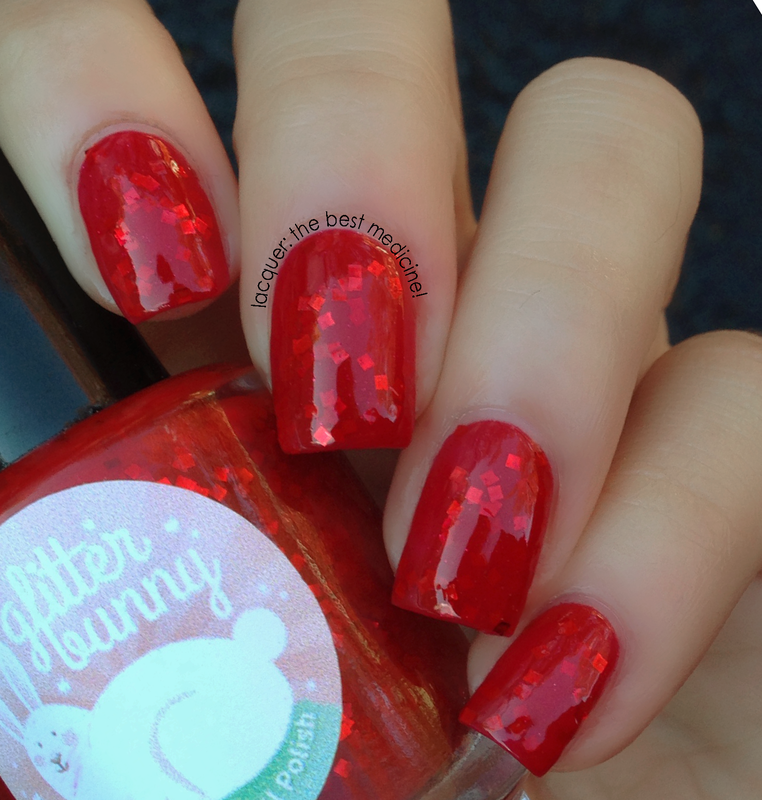 I was also given a bonus polish to review: a super-fun square glitter topped called I Got A Goodie Bag! 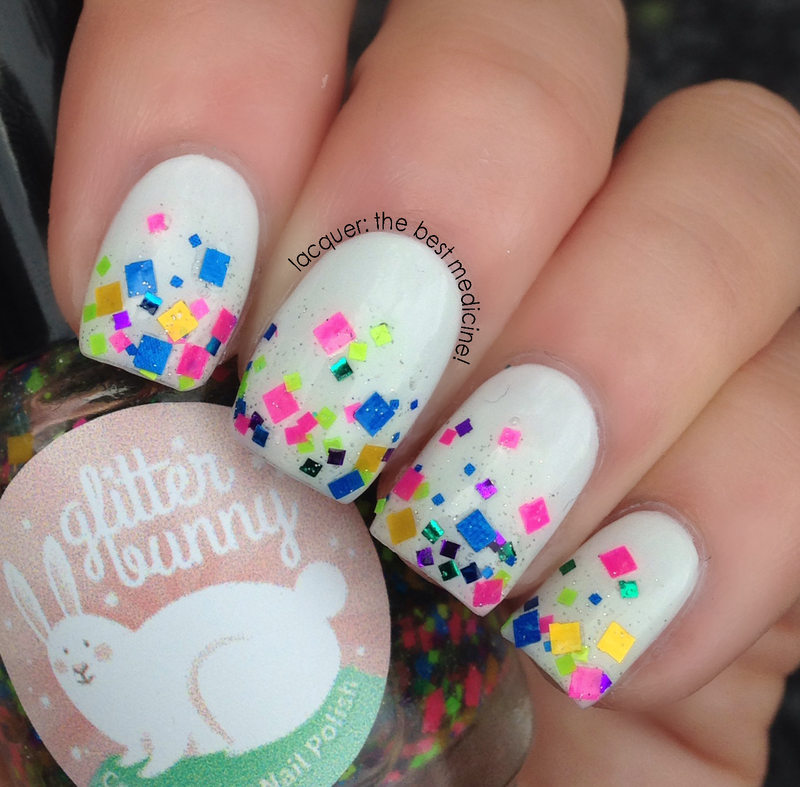 It is a mix of multicolored neon matte square glitters with tiny silver holographic glitters mixed in. Shown here is a glitter gradient over OPI My Boyfriend Scales Walls, topped with G&G HK Girl topcoat. Formula was a tiny bit thicker for this polish, but still totally workable. Love the gradient look you created; but all the shades are gorgeous! They have some unique polishes to choose from ..
the owner is such a nice person too. 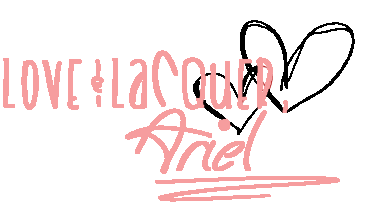 I liked the way you reviewed them surely "PART OF THAT WORLD" is gonna be in my wish list . getting added to your blog !!! 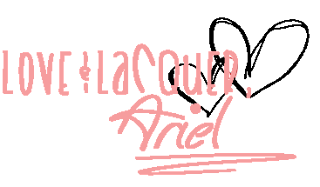 hope to see you on my blog too.. waiting to see more from you ..